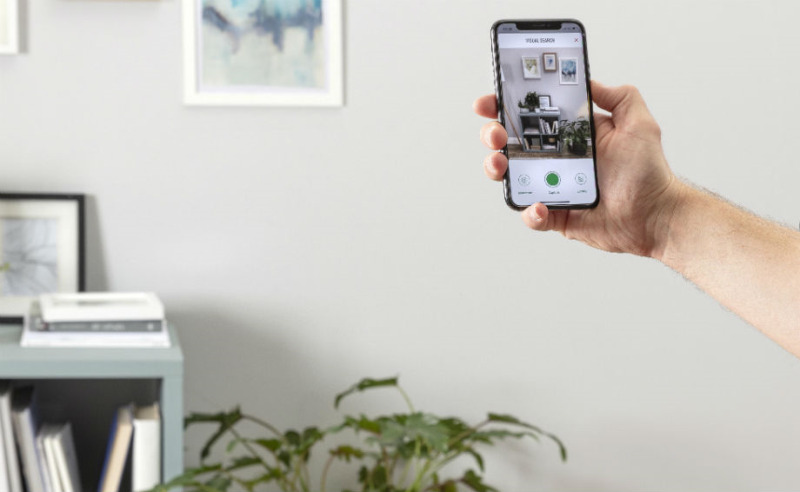 The general merchandise retailer has introduced a new AI-enabled visual search service in the Argos IoS app, which allows customers to shop for homewares and furniture using images on their smart phone. Users simply take a photograph or upload a saved image of their desired item to the app which instantly searches the entire Argos online catalogue for similar furniture, curtains or homewares. The technology is able to do this by recognising distinctive features, such as the shape, colour and style of items in the image. The launch, says Argos, is part of its mission to offer customers "an engaging, technology-led mobile shopping experience", helping customers to select from the thousands of homewares and furniture lines available in its online catalogue. Visual search works alongside Argos’s existing augmented reality technology, which lets customers digitally place products such as sofas and TVs into their own homes using the IoS app to assess the look, size and fit before buying. Argos’ aim is to extend the visual search functionality to customers using the retailer’s iconic paper catalogue in the future, where the app could surface products to complement items customers find on catalogue pages. It follows the launch of Argos Voice Shop, where voice technology enabled customers to reserve Argos items for click and collect. Argos is the latest omni-channel retailer to introduce the technology to join up its online and physical worlds, and help customers find what they want more easily. In 2016 US home improvement giant The Home Depot added visual search to its mobile app by adding a camera icon to the search bar, and just this year, home and fashion chain Marks & Spencer launched its M&S Style Finder photo search feature on its mobile website. The technology is already widely used by pureplay traders, including Asos, Ebay and Amazon. Argos digital director Mark Steel said: “Customers are increasingly using social media platforms, such as Instagram and Pinterest, as a source of inspiration so visual search has the potential to transform how we shop for the home. By creating it in our app, we’re intentionally putting this exciting new technology directly into the hands and pockets of our customers who are using mobile devices to shop more than ever. “Customers seeking a product or even an entire room set they’ve discovered online, or seen in a friend’s home, can now browse our vast range of homewares and furniture to find great value similar items in an instant, simply using a picture.